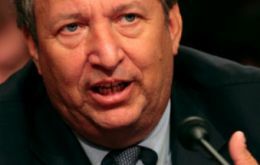 United States President Barack Obama's 787 billion US dollars stimulus package is working, top White House economic adviser Lawrence Summers insisted on Friday. And although unemployment is a major area of concern, Mr Summers said rising joblessness does not prove that the stimulus is falling short. 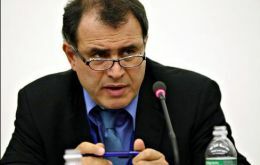 New York University professor Nouriel Roubini, one of the few economists who accurately predicted the magnitude of the financial crisis, reiterated on Thursday that the worst of the turmoil has passed. But also emphasized the US will need a second fiscal stimulus, possibly by the end of this year to face two digits unemployment. Thousands of jumbo Humboldt flying squid — aggressive 5-foot-long with razor-sharp beaks and toothy tentacles — have invaded the shallow waters off San Diego in southern California, scaring scuba divers and washing up dead on tourist-packed beaches. The first talks between US President Barrack Obama’s administration and Cuba ended with an invitation for US diplomats to visit Havana in December, marking the official beginning of the first dialogue between Havana and Washington in six years. The world’s largest publicly traded oil company Exxon Mobil said Tuesday it will make its first major investment in greenhouse gas reducing bio-fuels in a 600 million US dollars partnership with biotech company Synthetic Genomics Inc. to develop fuels from algae. 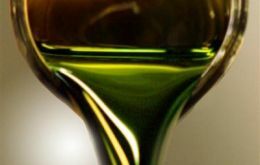 The US corporation will be joining other oil giants (Shell and BP) that have been investing in bio-fuels. 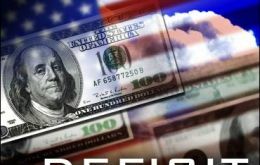 United States saw its deficit narrow to 26 billion US dollars in May, its lowest level in more than nine years, according to figures from the Commerce Department. Imports continued to fall while exports increased, pushing the deficit to its lowest level since November 1999. General Motors (GM) says it has emerged from bankruptcy protection after creating a new GM made up of the carmaker's best assets. GM chief executive Fritz Henderson said it was the beginning of a new era. United States President Barack Obama and Brazilian President Lula da Silva took time out from their overloaded Thursday agendas to talk about the United States' defeat to Brazil in last month's Confederations Cup Final played in South Africa. United States widely respected investor and financial wizard Warren Buffet said on Thursday unemployment in the US could reach 11% and a second stimulus package could be needed to pull the world’s largest economy out of recession. 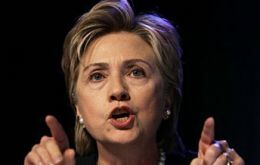 US Secretary of State Hillary Clinton is in favour of an adequate protection to the media in Venezuela, as well as in other countries. The US top diplomat considered that the freedom of expression and freedom of the press are fundamental values for democracy.